Looking Forward to IBA's Future | IBA Boston | Inquilinos Boricuas en Acción empowers and engages individuals and families to improve their lives through high-quality affordable housing, education, and arts programs. As IBA celebrates the end of its 50th year, we are already looking to the future. We have already begun building our next half century, and we are excited to see how our community grows. From affordable housing and arts programs to support for our residents, our future is bright! 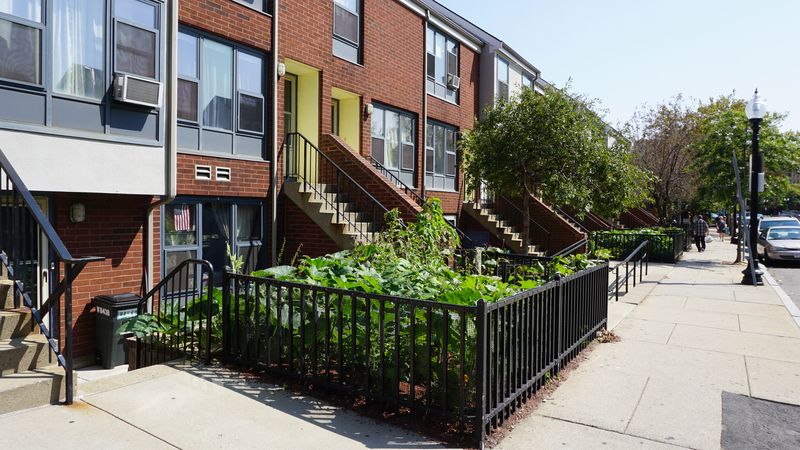 By the end of this year, we will acquire, rehab, and renovate 146 units of affordable housing to add to IBA’s 521 existing units in order to preserve needed affordable housing in the South End. Over the next five years, we are continuing our dedication to providing more affordable housing by exploring the development of 40-50 housing units in the neighborhood. Additionally, we will be working to create new ways to increase economic opportunities for low-income families with cutting-edge programs. Along with economic opportunities, we are looking to boost civic engagement opportunities for our residents, to help make our community stronger. We recently received the Tufts Health Plan Foundation’s Momentum Fund grant which focuses on our seniors. The fund was created to “make communities better places to grow up and grow old,” including “adopting more inclusive policies, building accessible parks and public spaces, and integrating age-friendly practices,” says Nora Moreno-Cargie, president of Tufts Health Plan Foundation and vice president of corporate citizenship at Tufts Health Plan. Through this grant, we are enhancing our civic engagement with an Ambassadors Program that engages community elders in every aspect of our community development work. For our arts program, we will continue our efforts to renovate the Villa Victoria Center for the Arts to grow our Latino arts and culture footprint and important events. Another goal is to support our youth in graduating from high school, as well as pursuing post-secondary education. We believe in creating space for our youth to learn and grow, and help their communities. Because of this program mission, Our our Youth Development Program was recently awarded the Mass Cultural Council’s YouthReach Grant. YouthReach is designed to “develop and deepen opportunities for young people to create a more just and equitable society through their art-making”, according to Mass Cultural Council. With this support from community partners like Tufts Health Plan Foundation and Mass Cultural Council, we know the next 50 years will be just as important as the last. IBA’s mission of empowering and engaging individuals and families to improve their lives through high-quality affordable housing, education, and arts programs will continue to be carried out, and we are looking forward to building our future together. We hope that you will join these and many other partners in supporting IBA’s mission. Thanks! To donate, please click here.